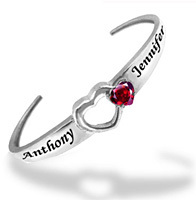 A great gift choice for a loved one to mark a special occasion is the choice of one of the many available personalized bracelets from Apples of Gold! 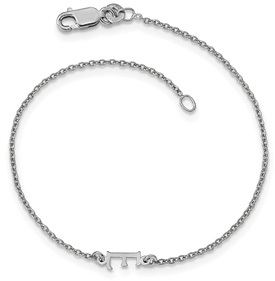 Bracelets are a popular form of jewelry that help the wearer make a statement while memorializing a special occasion they will remember into the distant future. Read more. Bracelets are a great piece of jewelry. They can say volumes or be a simple accent to an outfit. For some people, a bracelet is essential, while for others they are a nice option but far from a necessity. Regardless of the recipient�s opinions on the importance of a bracelet to the jewelry world, the gift of a bracelet will be welcomed if it is done properly. 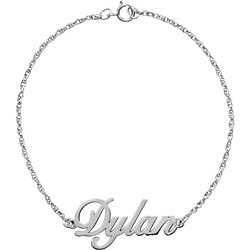 One benefit to the purchase of personalized bracelets is that the gift recipient is less likely to have this gift already. 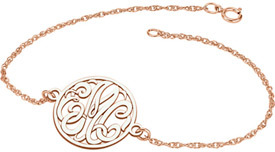 Even if they own a bracelet with their name or initials, the variety of personalized bracelets available ensures the gift giver has a chance of giving a truly unique gift. Gifts are more than the dollar amount spent on that person or to celebrate a specific occasion. They are a chance to tell the person the high level of pride you have in them for an accomplishment or the depth of your love for them if it is a romantic occasion. 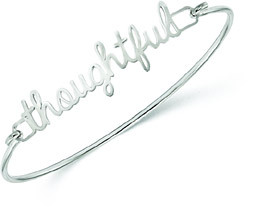 With this in mind, the choice of a bracelet is guaranteed to be valued. Options include both gold and silver, to match the recipient�s preferred style of jewelry. Once that determination is made, there are still many options to choose from. 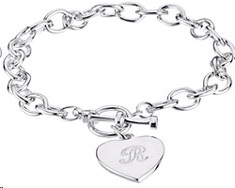 Charm bracelets are very popular when it comes to personalized bracelets. 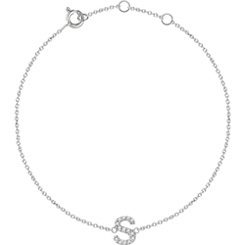 Heart charms or multiple circular charms on one bracelet catch attention and appeal to certain people. Others prefer a secret inscription inside a simple band. This provides a connection from gift giver to recipient that need not be shared with the world unless sharing is a choice of the wearer. Personalization is varied as well. 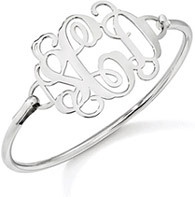 It can be a word or phrase special to the giver and receiver, it can be simple initials for the gift recipient, initials for both people in a couple or numerous other possibilities. 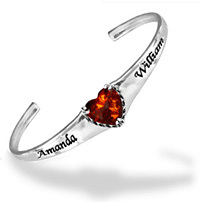 The decision to shop for personalized bracelets is only the beginning of a complex process. However, the recipient is sure to appreciate the time and effort put forth by the gift giver. This shows the value you hold for that special person in your life.